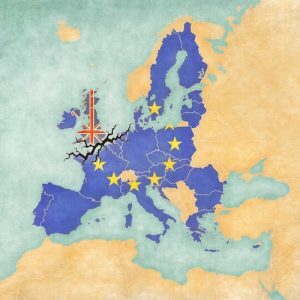 The last few years have been extraordinary ones on the global stage – from the proxy wars being waged in Syria and elsewhere, to Russia’s increasingly aggressive stance and Britain’s shock exit from the European Union, we have rarely seen such a turbulent period of inter-state relations. Donald Trump’s Presidency means even more uncertainty – over trade relationships, longstanding military alliances and even the maintenance of the ‘taboo’ over the use of nuclear weapons. International Relations scholars strive to understand, and offer explanations for, the actions of states and international institutions, the relationships between them and the consequences when those relationships come under strain. Questions for IR scholars would include why North and South Korea are still divided, why an international agreement on climate change is so hard to reach, why we saw prompt military intervention aimed at regime change in Libya but co-ordinated action in Syria proved so difficult and contentious, why America has been Israel’s closest ally for so long, and what the consequences of Britain’s exit from the EU will be. This five-day course will include core theory, detailed case studies, and lots of exercises and debates to put your knowledge into practice. It is particularly recommended for anyone considering IR, War Studies, Politics, PPE or related disciplines at university, but is also suitable for anyone with an interest in discovering more about how world politics works. See a full schedule for this course here. The last few years have been extraordinary ones in terms of the global stage – from the proxy wars being waged in Syria, to Russia’s increasingly aggressive stance, to Britain’s shock exit from the European Union, we have rarely seen such a turbulent period of inter-state relations. Donald Trump’s presidency means even more uncertainty – over trade relationships, longstanding military alliances and even the maintenance of the ‘taboo’ over the use of nuclear weapons. International Relations scholars strive to understand, and offer explanations for, the actions of states and international institutions, the relationships between them and the consequences when those relationships come under strain. Questions for IR scholars would include why North and South Korea are still divided, why an international agreement on climate change is so hard to reach, why we saw prompt military intervention aimed at regime change in Libya but co-ordinated intervention in Syria proved so difficult and contentious, why America has been Israel’s closest ally for so long, and what the consequences of Britain’s exit from the EU will be. The International Relations Summer School is open to students aged 15 – 18, and will take place 8th – 12th July (and repeated 5th – 9th August, and 12th – 16th August) 2019. The cost of the five-day International Relations Summer School is £495 per student – to secure your place you will need to pay a 50% deposit, with the balance payment due eight weeks in advance of the course start date. To book a place or places at the International Relations Summer School, or if you have any further questions, simply call on 0800 8101058, email info@debatechamber.com, or book online.